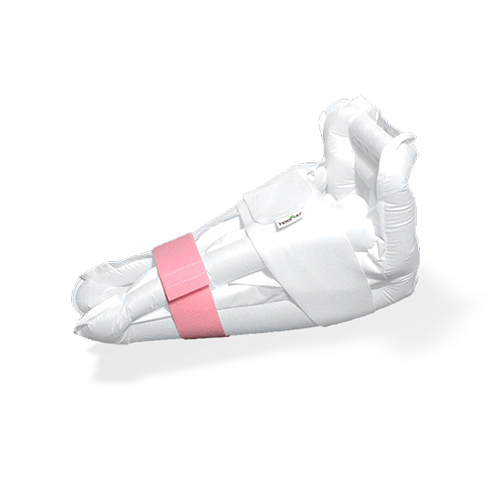 The heel up® short is designed to give complete heel offloading relief. 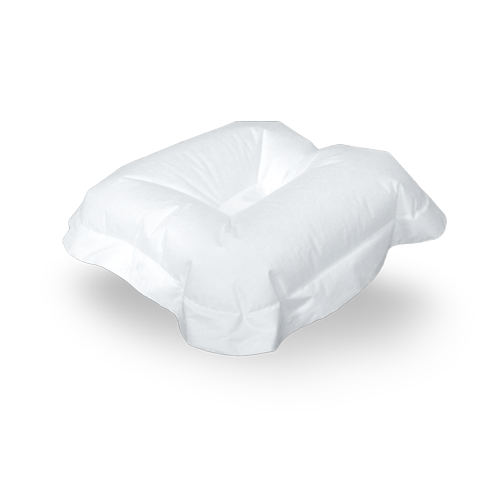 It is shaped to fit the Achilles tendon whilst providing comfortable support for the foot. 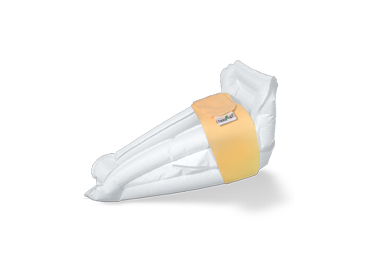 The heel up® short is an optimal positioning device when the bedbound patient needs comfortable and complete pressure offloading as well as a certain degree of mobility. 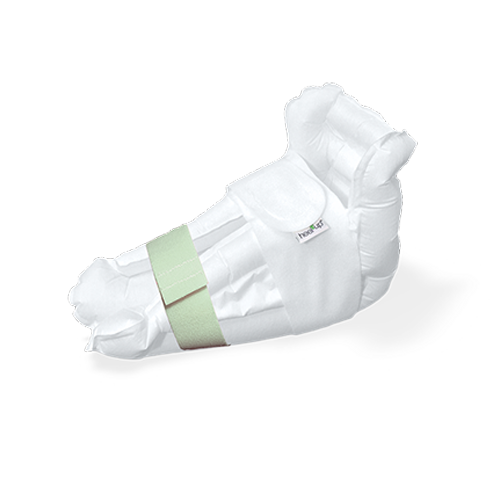 The heel up® short ensures stability without hindering the patient’s movements. Even with the slightest movement, the device will stimulate the microcirculation of the skin, which in turn optimises circulation. The heel up® short has a surface layer which is made from a soft, flexible, heat and moisture absorbent non-woven material, which makes the product comfortable against the skin. In addition to the heel up®short we recommend that the all up® universal long be used to support the knee. The heel up® short comes with an extra strap, to secure the device.